So easy, and if you've never tried zucchini in a salad - this is your chance! 2-3 tsp minced fresh herbs - parsley and chives or mint are nice, but use whatever you've got! 1. Slice the zucchinis as thinly as you can. 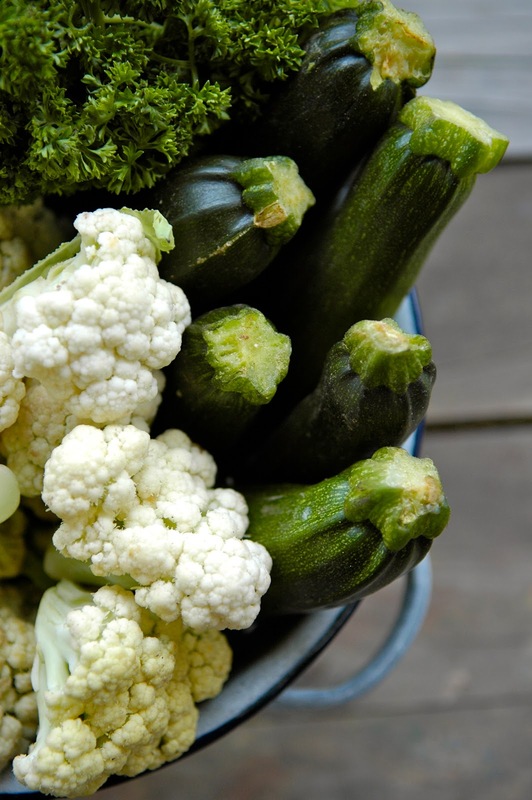 Boil a pot of water and blanch the zucchini slices in the boiling water for 3 minutes. You want them a little soft but still a little crispy, too. Put the zucchini straight into a colander, run it under cold water (to stop them overcooking) and leave to drain. 2. Meanwhile, make the vinaigrette in a small jar - put all the ingredients in, put the lid on, and shake. 3. 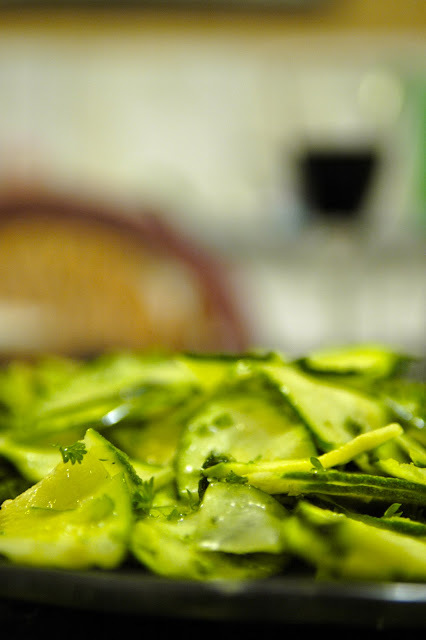 Pour the dressing over the drained zucchini, mix well, and store in a covered dish in the fridge for an hour or two. I got my organic zucchinis for $3 - so my salad was less than $1 per serve and 100% organic! I found this amazing blue enamel colander in a thrift store on our recent road trip ... small country towns are sooooo good for thrifting. I've seen similar in antique stores for gazillions, so was happy to snag this for $5. Love it! Check out some other thrifting goodies here. mmmmmmm sounds yummo & i LOVE your colander too!! I am always on the lookout for a good vinaigrette recipe; I'll have to give this one a try. 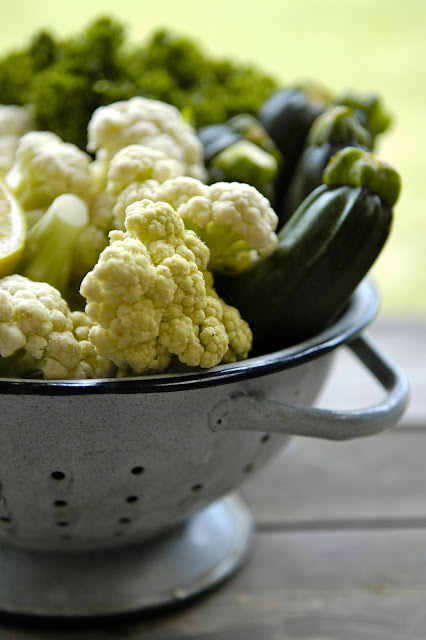 Thanks for sharing; congrats on your colander find!